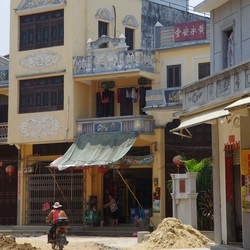 In 2011 Doumen District government announced they would spend 100 million yuan ($15.5 million) in reconstructing the 500m long main street of Doumen Old Town. 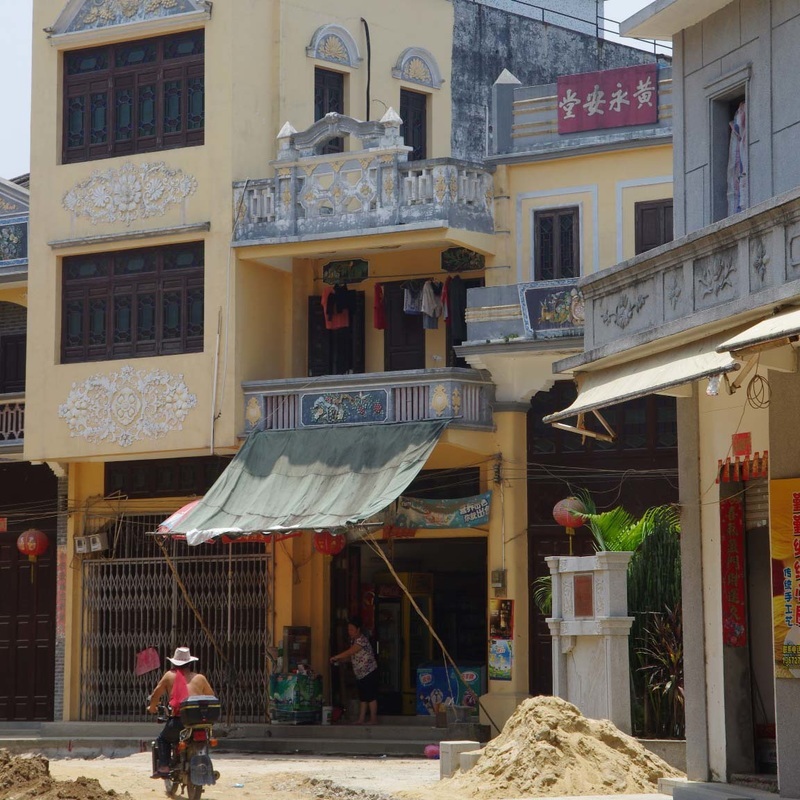 Today, really just a village off the beaten track, the town had its heyday in the early 1920s after a Canadian Architect had shaped the main street in both western and Lingnan styles. The aim of the restoration is to restore renowned Chinese medicinal crop shops, tea houses and variety stores as tourist attractions. 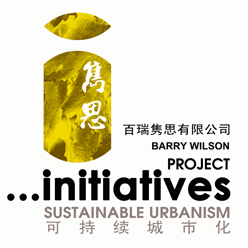 Barry Wilson lead the students of Penn State and Hong Kong Universities in exploring the town, hoping to see a revitalised community. 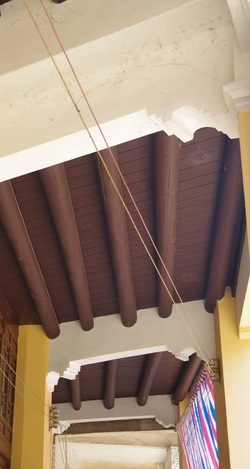 A large amount of restoration work had certainly taken place to buildings, along with some new construction and the street had been excavated awaiting upgrading works. However, visiting on a Sunday, sadly the old village resembled a ghost town and there was little evidence of any regular tourist visitors, with few premises appearing to have adapted to the intended new economy. 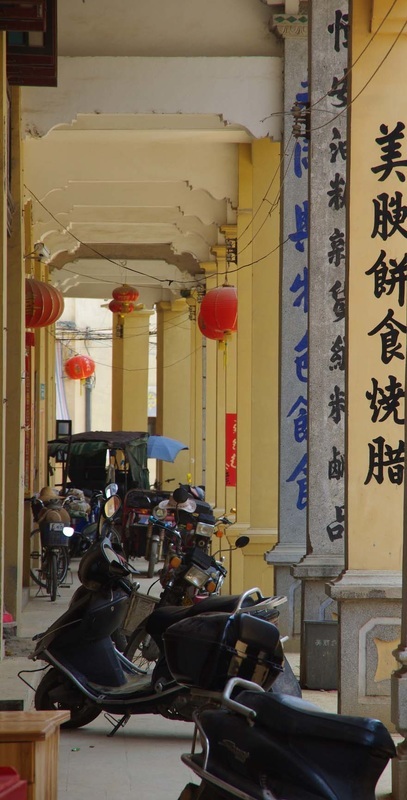 Traders, in particular from France and Canada,undertook business on the street in the wake of the 1840 Opium War and the town further attracted missionaries promoting the catholic faith who constrcutied a 2 story church. The Canadian architectural engineer worked with other international residents in rebuilding the street, which made it a vibrant market housing dozens of merchandisers, variety stores, drug stores, rice shops and particularly timber stores. In the 1940s, with a shortage of basic living supplies, the street served as a transfer station for smuggled goods from Macao. These included kerosene and sugar. Old Street ceased to thrive once other surrounding villages founded their own supply and marketing cooperatives and clinics during the cultural revolution. 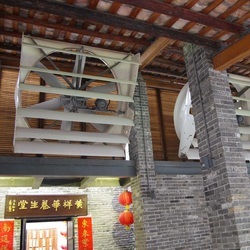 Construction of the Qianwu Reservoir in 1958 isolated the street from Nanshui and Pingsha towns and a final blow was delivered when Jing’an Town was sited as the new central town instead of Doumen Town in 1965. As well as building renovation, upgrading works will include the road, water and power supply, drainage, communications, garbage collection and fire-fighting.